His initial medical study and training was at Oxford and Newcastle Universities. 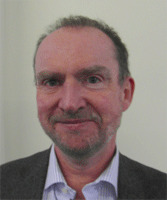 He is a Fellow of the Faculty of Public Health and a Member of the Royal College of General Practitioners. In addition, to his medical degrees he has masters degrees in public health and physiology. He has undertaken director level roles in government, the NHS and the voluntary sector. In particular, John has worked as local director of public health for County Durham and Darlington, deputy (and acting) regional director for North East England and regional director for the Health Protection Agency. In his various roles, he has delivered a range of outstanding and innovative services including: clinical audit and healthcare improvement; tobacco control; investigation of the impact of environmental hazards on human health; clinical and multi agency service development; the development and delivery of emergency response to major incidents. John has developed information flows and systems: to deliver improved health surveillance; improve the understanding of social and environmental impacts on health; to engage non-technical audiences in measurable service improvement. He has extensive experience in the development and delivery of complex programmes across the healthcare, criminal justice, private sector and local and national government.